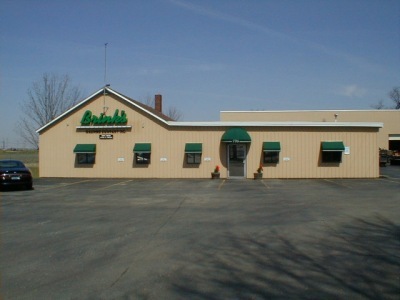 Brink's Machine Company is a Michigan based “full service” Tool and Die Shop that was established in 1946. Brink's Machine Company is a Top Quality Provider (ISO 9001:2008 registered) of Progressive Dies, Special Machines, Machining Services, Tooling, Machine Details and Engineering Services for a variety of Customers. Our customer base consists of first and second tier suppliers to the Automotive OEMs and their Supply Chain, Agricultural Industry, Equipment and Special Machine Builders, Material Handling and Aerospace related suppliers. This puts us in a position to be familiar with the demands that industry places on its suppliers. We understand the need for top quality tooling at competitive prices and tight delivery schedules. Long lead times, for tooling, are a thing of the past. Brink’s Machine Company’s philosophy and corporate structure allows us to respond to our Customer’s demands with a minimum of lead time. Brink's Machine Company is a proud member of the “MICHIGAN TOOLING GROUP” which is a Michigan Tool and Die Collaborative formed to help pool the resources of related “Tool and Die” companies to better service the industry. This collaboration reinforces the “full service” concept. Brink's Machine Co. stands ready to help your company meet the demands of the future by becoming one of your quality tooling suppliers.